Does the vintage matter? The age-old question that I’m asked time and time again. There’s no simple answer, and there is a lot of unnecessary pontificating about vintages, which has no relevance to the average wine drinker. Discussions about vintages are made wisely by those informed and sufficiently knowledgeable, but very unwisely by many who just look to impress. Firstly, let’s dispel one of the commonly held myths – ‘vintage’ doesn’t refer to how special the wine is, it refers to the year, in which it was made. Despite the vast progress that has been made in simplifying wine terminology and understanding for wine lovers, there is still a totally misguided impression, with far too many, that ‘vintage’ means something very unique. ‘is it a vintage wine?’ is a question I am frequently asked, but for the wrong reasons, simply because many wine drinkers don’t understand what a ‘vintage’ wine is. 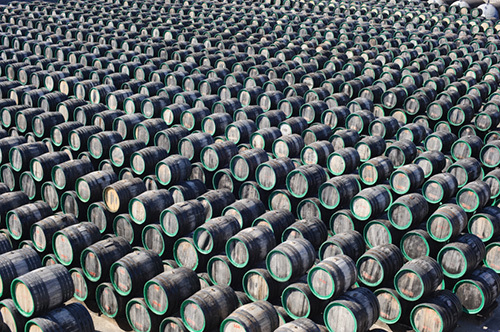 The vintage does matter as far as Port and Champagne is concerned, and we’ll come on to that later. For everything else, it doesn’t; it’s just the year it was made in, although that in itself, has implications especially at the top end of the tree, and especially in Europe, where the weather conditions will invariably play havoc with the conditions and ripeness of the grapes when they are picked. Quite simply, if a wine features a year on the bottle, then the wine is produced from at least 85% from that year – normally more; so you know immediately how old or young the wine is – very important when choosing many white and rose wines. The vintage on a bottle of wine refers to the year in which it was made – therefore, we should now be seeing 2012 white and rose wines from Europe, since these were harvested and produced in the most recent 2012 vintage (August-september) and are now hitting our shelves. Similarly, the first 2013 whites from the New World, which were made in February are just starting to reach our shores. 1. Starting at the basic level – if there is no vintage on the label, it is likely to mean that the wine is a blend of the current vintage and the previous one. if that’s red wine, and a simple, inexpensive wine, that’s not necessarily a problem; but with white wine, generally, the younger, the fresher the better, in terms of good value drinking whites, so you don’t want to be buying potentially old vintage wine, which has been topped up with a touch of the new vintage. 2. Rose wine vintages – with Rose, vintage really does matter; rose wine is all about freshness, fruit, and liveliness. The younger the wine, the better; as soon as Rose starts to age it loses both some of its colour, but more importantly the balance of fruit and acidity, which is partly what gives it its charm. Go for the latest vintage, which in this case should definitely be 2012. 3. White wines – there is a very misconstrued myth that the older the wine the better; this is not true! With the exception of good white Burgundy and Chablis, also Riesling ( which is one of the best white grapes for ageing), and some Semillon, the same rule applies for white wines, especially unoaked ones. Keep it fresh, keep it young! As mentioned some grape varieties age better than others – the lightest, zestiest, and zippiest, such as Picpoul de Pinet, Muscadet, Italian and Spanish whites need drinking very early. Sauvignon blanc has two schools of thought – some enjoy a little bit of age ( not generally more than a couple of years) to take the pungent, edginess off Sauvignon blanc, especially from New Zealand and Sancerre; however many love the fresh, new reek of grassy, gooseberry- laden young Sauvignon and active await the arrival of the new vintage each year – if you’re in this camp, the first 2013 New Zealand Sauvignons are just beginning to hit UK shores. 4. Red wines – once again, there are some misguided views that all red wines are best left for a few years; in the case of juicy, unoaked reds, this is not true. Wines that rely on their vivacity, and youthful fruit should be enjoyed quite young – they have a bit more staying power than whites, but generally they will be best from within the last year or so. The main reason is the same – freshness, acidity, and youthfulness of fruit. So for Beaujolais, young, unoaked Garnacha, or Grenache, keep it young. 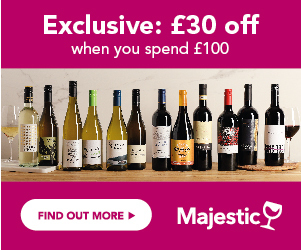 Generally speaking red wines seen on supermarket shelves should be ready for drinking; the majority of wine drinkers purchasing from supermarkets are buying wines that they will drink within a month, if not a week – when I was a supermarket wine buyer, I had a simple rule in selecting red wines. Pinot Noir is interesting – it’s naturally a low tannin red, and behaves differently in various locations and climates; in its natural habitat, Burgundy, it produces some of the most exquisite wines in the world, which mature beautifully for decades. Generally though, drink Pinot Noir wines within 10 years maximum. Cabernet Sauvignon, Syrah/Shiraz and other oak aged reds – this is where it’s worth leaving the wines for a few years. whilst many reds from these grapes are now produced for drinking young ( mainly those seen on supermarket shelves), the more premium, chateaux and single estate wines are made for maturing – time to let the tannins soften, the fruit evolve, the oak integrate, and the complexity to develop. Many of the top wines from Bordeaux, the Rhone and Australia continue to evolve and develop for decades – in many cases they should be left to sleep and grow up for at least 20 years! 5. Is the actual vintage important? - Wines have become far more consistent in recent years; when it comes to the big brands, there is a style, and ‘recipe’ that the winemakers work to, to ensure, above all, consistency of style. They will attempt to have as little variation as possible, unless they have made a specific decision to change style, ie less oak, change of blend etc. Vintages will vary considerably in style, and quality depending on the weather in the relevant year; generally new World wines are grown in regions that have more consistent weather than northern Europe, and are therefore more reliable and subject to less variation – the same is true for Sicily and the rest of Southern Europe. Having said that, in New Zealand, the 2012 vintage was reduced by a minimum 30% because of weather conditions, vine damage and other causes; the top Australian wines will vary considerably depending on the heat, and temperature/rainfall during the Spring and through the summer. However it’s in Europe that there is the greatest variation in terms of vintages, with wine pundits speaking reverentially about individual Bordeaux vintages – this is very relevant, and the styles of both the individual chateaux and the more general appellations can vary dramatically from year to year, and thus impact on how well a wine is going to age and last. Unless you’re looking to invest, however, whilst some vintages are lighter, softer, or leaner, once again, winemakers are attempting to provide a far greater consistency of style. 6. Champagne and Port – the majority of Champagne and Port is non-vintage, which means it is a blend of several vintages, once again to produce a consistency of style. Vintage Champagne and Port is only made in certain, very good years, when the producers decide to ‘declare’ a vintage and decide that the quality of the wines is good enough to stand alone. These wines are made to last and will last happily for at least a decade.